Please carefully read the following “Leadership Self-Evaluation Checklist” before submitting your application. Thank you. To glorify Jesus Christ in Xiamen through learning, worship, prayer and fellowship while reaching out to our community. I am willing to be held accountable to what God has called me to be as a Christian, representing Christ with my life. I am open to being disciplined and mentored so that my life and heart will constantly be renewed to be more Christ-like. I will give respect to those whom God has placed in authority over me. I have read and agree with XICF’s mission and desire to represent the fellowship well. I will keep myself sexually pure according to God’s Word for the sake of the Kingdom and the ministry he has given me. I will be wise in all my relationships and steer away from even the appearance of evil. 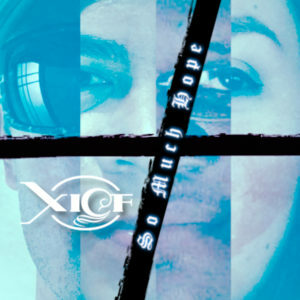 We would like to share with you an album created by our worship team here at XICF. It’s called “So Much Hope” and we are excited to introduce it to you today. “With this recording, we’ve tried to capture a little bit of the vibe of our worship music.